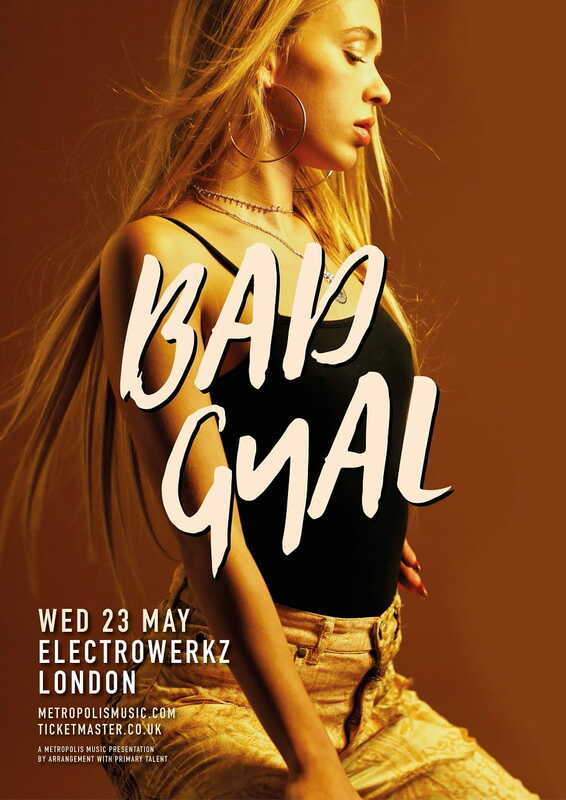 Following on from this year’s critically acclaimed Worldwide Angel mixtape, Barcelona-based multi-lingual artist Bad Gyal is finally bringing her high-energy live show to UK shores for a very special one-off headline show at London’s Electrowerkz venue. The concert, set to take place on May 23rd, will succeed Bad Gyal’s appearance at Brighton’s The Great Escape festival on May 17th on the Notion stage. Bad Gyal is as international a phenomenon as they come. Originating from Spain, the Barcelona based artist twists the blueprints of dancehall, reggaeton and forward-thinking club music and splices them, possessing a sound that’s alluring, innovative and completely unique. After the high energy fervour of previous singles Blink and Candela (which I adore), Bad Gyal released her highly anticipated sophomore mixtape, Worldwide Angel. Collaborating with the likes of Jam City, Dubbel Dutch, D33J, DJ Florentino, FakeGuido, Paul Marmota, El Guincho and Faberoa, Bad Gyal utilised the talents of some of the world’s most progressive producers to create the most realised rendering of her vision to date.